Seattle reporter, editor, columnist and city council member Jean Godden witnessed historic events, watched Seattle evolve into a civic and national affairs leader, worked with many city and state movers and shakers, and became a local celebrity herself. 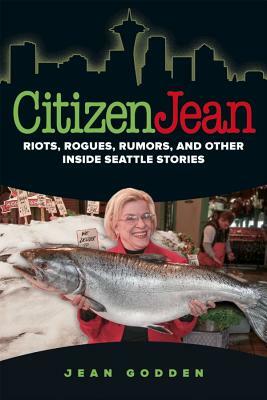 Her account of those days-- Citizen Jean: Riots, Rogues, Rumors, and Other Inside Seattle Stories (Washington State University Press)--includes her perspectives on the World’s Fair, the citizen-led battle against freeways, the fight to keep Pike Place Market away from New York investors, the World Trade Organization protests, and more. She shares personal insights, delivers an insider’s view of the city’s newspaper strikes and rivalry, and casts a revealing look at regional politicians.